Instructions can be simple or complicated, a word or a whole essay (but they should be written instructions, not visual). You could even copy quotes from books/articles and use them as instructions, since it might be fun to see how people visualize the quotes. Response pictures can also be simple or complicated-- the standards don't need to be high. You can take a photo, paint something, draw something, etc. In your post, you can either provide new instructions or make a picture based on previous instructions, or both. You should quote the post you're responding to. I guess you can give instructions about how you want the picture made (instruction: "draw a cat") but I think the less directional the directions are (instruction: "cat"), the more entertaining it will be. or maybe not. idk. 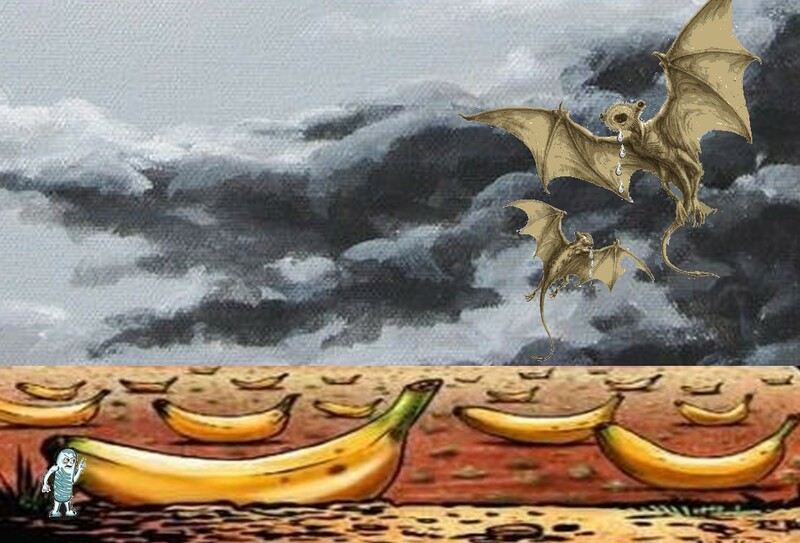 Draw bipedal mitchondrian rounding up a herd of wild bananas as ravenous mynocks look on salivating. You didn't post the western scene I demanded!